Join us for a morning of mosaic creation in the open air studio at Gallery El Saieh, surrounded by colorful Haitian artwork and overlooking Port au Prince and the ocean. In this multi-level class, students will explore the beauty of glass mosaics using a variety of media including stained and colored glass, mirror, glass cabochons and accents, Venetian smalti, iridescent, opalescent and vitreous glass. Bring on the bling! Professional mosaic artist Laurel True will lead students through the steps of cutting, shaping and setting glass pieces, as they create a unique wall hanging to take home. 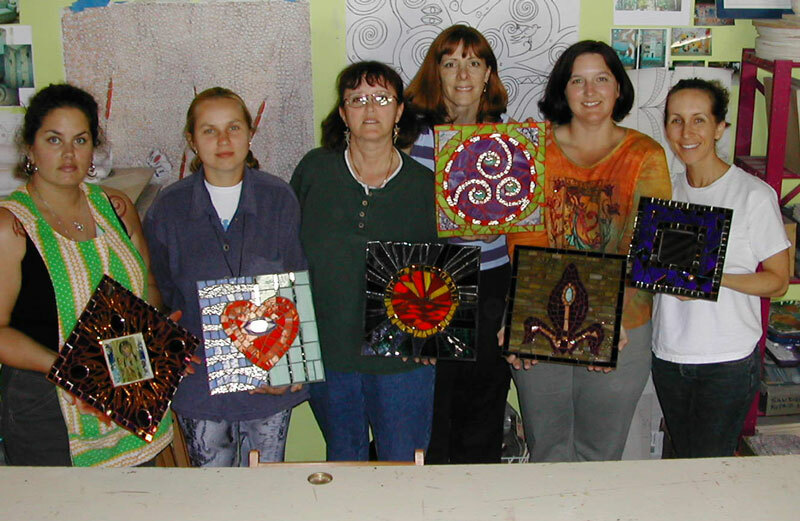 Class will begin with a presentation of inspiring glass mosaic work by contemporary mosaic artists. Instructor will show students how to combine materials and work with light to achieve gorgeous effects. Class will include discussion of opacity, transparency, reflection and refraction of light, use of the riven edge and how to work with texture. Students will come away with a strong base of knowledge and a fun experience of creative exploration. Students encouraged to bring a lunch...we have a fridge and beverages at the gallery.